As we are looking at messianic passages in this series, we shouldn’t forget the passage in Zechariah which clearly points toward the triumphal entry, when Jesus rode on a donkey into Jerusalem. 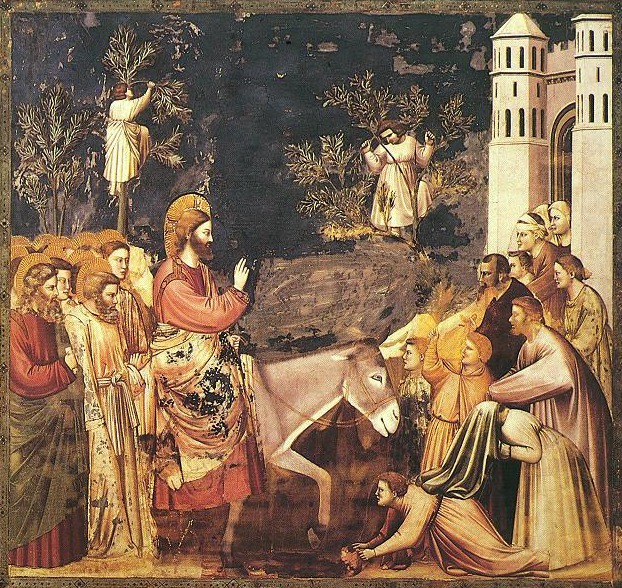 It is important to understand that he is riding on a donkey and not a horse, which would have been associated with war. This king had come victoriously to reign in peace. One translation of ani is “poor”. In Jesus’ life, this is very applicable. He said about himself, “Foxes have dens and birds have nests, but the Son of Man has no where to lay his head” (Luke 9:58). He had only one garment to his name and no home, wife or family. Because of his lack of riches and earthly glory, many of us miss the point that he was – and is – a king. It is ironic that Jerusalem’s king came in peace on a donkey, poor, with only one garment and no fine robes. When he arrived, he was sorrowful and afflicted for the sake of his city. They did not recognize either their need for a savior, or the time when the true King entered their walls.